You can purchase from Austin Guitar House in our store located at 2206 West Anderson Lane, Austin, TX 78757, Tuesday to Saturday from 11:00 am to 6:00 pm, Sunday from 12:00 pm to 5:00 pm, (closed Monday). Also, you can call us at (512) 243-6036 or e-mail us (that's the best way) through oz@austinguitarhouse.com, and we'll be glad to talk to you about product information as well as order placement. 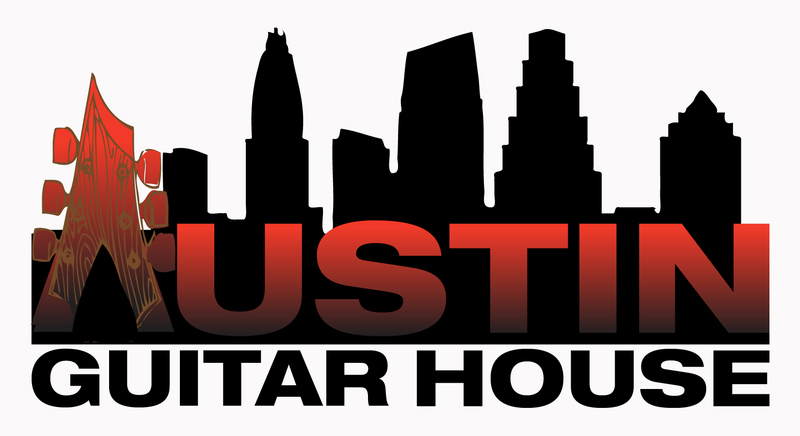 Austin Guitar House accepts payment in cash, money order/cashiers checks, MasterCard, Visa and Paypal, as well as personal checks with Driver's License information or Military ID. If you send the check in the mail we'll wait for it to clear before we ship the product. When placing an order over the phone using a credit card you must show proof of identity (scanned ID) either through fax or email. International purchases must be made by Bank Wire-Transfer only. Items shipped through UPS, FEDEX or USPS. Shipping costs are generally not included in the item prices listed and are calculated via a combination of the weight of the product, the destination to which the purchased item is going, and shipping speed (standard, 2 day air, overnight, etc). The buyer is responsible for all shipping and handling costs unless Austin Guitar House and the customer have made other arrangements. Austin Guitar House ships worldwide/overseas as long we have a different agreement with the manufacturer. We do not lower declared values on international packages. Customers should consult Customs in their own country about additional charges prior the purchase. All taxes and duties are the responsibility of the customer. Please note, overseas customers should expect higher costs for shipping. We guarantee our products are as advertised and that all new products are indeed new unless otherwise noted. Any damaged, discontinued, consigned or used products will be advertise as such. Austin Guitar House wants our customers to be completely satisfied with their purchases, keeping them as repeat customers. However, if you are not completely satisfied, you have a 48 hour approval period to inspect and use. If we don't hear from you, we will assume you are satisfied and the sale is complete. However If you decide to return the product during the 48 hour approval period, please contact Austin Guitar House by phone or e-mail. Returns must be complete with the original packaging, all accessories, complete documentation (Owner's Manual, Warranty Card, quick start guides, etc. ), and show no signs of wear or use. All returns will incur a 5% restocking fee. Items which are not normally in stock (Special orders, oversized or overweight items, discontinued products, close-outs, used products, consignment items, lay-a-way, etc.) are not refundable. The customer is responsible for all shipping charges and returned items both to and from. These charges will be deducted from any refunds or credits along with any costs incurred bringing the returned item back to it's original condition. Items purchased new, but returned to Austin Guitar House in anything less than 100% as new may be subject to a restocking fee at our discretion depending on the damage and resultant reduction in value to the item. Again, returns are not accepted on the following items: Damaged Items, Modified Items, Special Orders, Layaway, Closeout Items, Sale Items, Used Items, Consignment Items, Oversize/Overweight Items, and/or Discontinued Items.